Exclusive premieres: why, or why not? In the context of streaming in the music industry – specifically, within the band-PR-outlet triangle, exclusivity doesn’t really exist. An ‘exclusive premiere’ by and large means the chance for a publication to post the stream of the song / video / album first. Once the music is online, there is no lock on that material to prevent other publications from sharing. If it’s a large enough band, once their material is online, it’ll start to spread across publications like wildfire and there aren’t many mechanisms to prevent this and ensure exclusivity. As a result, the truly big bands in our world tend not to premiere. This, combined with the continued strangling of Facebook’s organic reach (a subject for another, lengthier blog post) means that premieres are no longer a method of instantly getting sure-fire hits on new material. Generally speaking, the mood in the rock & metal music industry is shifting away from exclusive premieres. At least in the traditional sense. It’s not a hard and fast rule, but over the year(s), we at HoldTightPR have seen more and more sites starting to phase out the regularity of their premieres. So why is it something we still offer, as PRs? Firstly, and slightly paradoxically, the top-level sites tend only to take certain bands if they are offered an exclusive premiere. It’s something of a carrot, and a chance for that particular band to have their music on a particular publication when normally they wouldn’t share the news on new material that is public. They’re a point of credit for that band: a moment of kudos and a signal to other sites and eyes in the industry (booking agents, management, labels, etc) that maybe the band are worth paying attention to. Beyond this, it’s a step in the long-term game of allying that band with that publication, and opening up further opportunities. Premieres can be seen as both the end point and opening of a campaign. The opening is the chance of the foot in the door with an esteemed publication; the end the chance to stream a highly-anticipated album following a successful and drawn out PR campaign. However, premieres are not to be taken lightly. Successful album streams become successful because of this anticipation. This takes work and time and is not a factor unique to albums but can also be true of single/video streams too. As sites become pickier, premieres become harder. The blunt truth of the matter is that there is greater pressure from bands to have premieres deliver than from publications to deliver premieres. They tend to be a lot of work for publications without huge gain. Unlike album campaigns, premieres are time-critical, working to an exact date and sometimes with short turnaround. Plus, because of the very nature of 1-1 exclusivity, there are occasions where premieres fall through within the allotted time-window. So where’s the future? How do we work against the phasing out of premieres but deliver more fans to bands and continue to operate in the band’s best interests? Premieres become a part of longer-form online features, where the new music is used as a discussion point of wider topics. Readers are drawn into the topic and led to the new music. Any other bands discussed within the feature might be inclined to share and spread the news. 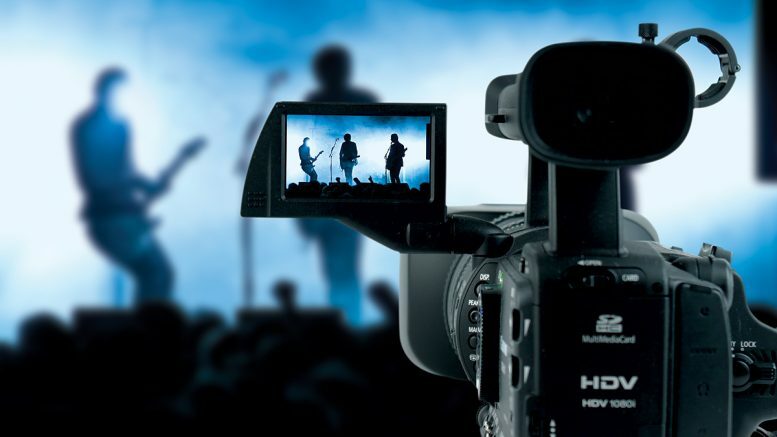 Look to premiere directly with channels who have large subscriber-bases on YouTube. Views are more guaranteed but at the expense of original content as the raw music files are hosted on that channel. Branding and the chance to increase band channel subscribers might suffer as a result. Embed the raw file directly on an outlet’s Facebook, and team this with a post of the music on the same publication’s website. This dual approach delivers views and a permanent reminder of the premiere onsite. Secondly, and more importantly, the crucial thing – industry-wide – is to re-evaluate the role of premieres. No longer are they a way just to get instant hits and launch a band into viraldom. Instead they’re just one key tool in the longer game of building a successful band, who have a successful relationship with the press and developing their fanbase. About the author: Matt is based in London but likes to escape every so often. When not distracting the rest of the HTPR office with (awful?) puns, he focuses on print and online PR in heavy, progressive, alternative music. With extensive experience in the world of music PR, Matt also has a degree in music from Cambridge, gained at the expense of an overly verbose vocabulary. Passionate about all things ahead of the curve, art, history, hiking and anything edible.